The collar, the necklace. Perfect. 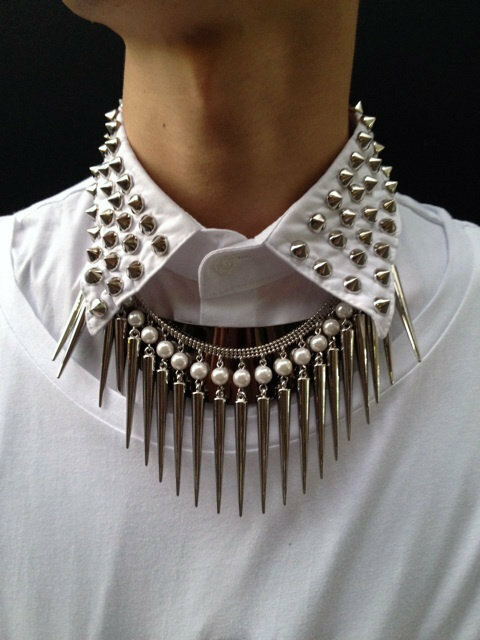 Love the thorn necklace but especially love the stud collar. Ahhhhhh I need this shirt!!! As long as the rest of the outfit is toned down I think this would look great! That is one fierce looking collar! this is pretty epic...i'm diggin' it! ugh, that's definitely a yes... so fierce!! totally in love with this collar, I must have it!